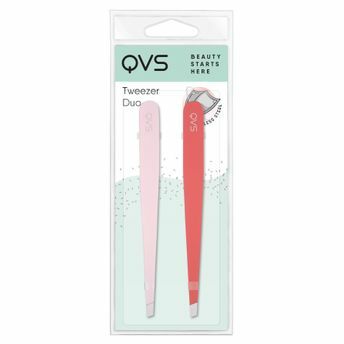 Take your pick from two gorgeous glossy colours with the Tweezer Duo by QVS. The set contains two tweezers, one features a 100% stainless steel with a wide precision honed tip for a firm hold. The other is a slant tip tweezer that is easy to use in a natural hand position and is one of our favourite tweezers! Shop more QVS products here.